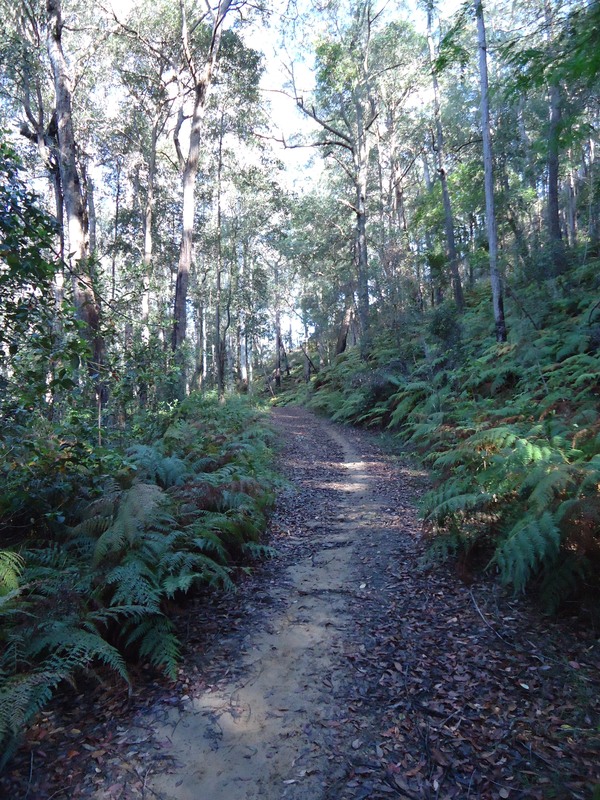 Nonstop walk Sydney to Yarramalong: trip report. Non Stop walk with Back flip and Pike. 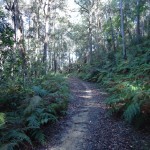 My original plan was to walk from Sydney to Newcastle along the Great North Walk in one continuous push. I was carrying enough food and gear for the whole walk, and had enough water storage to get through the longest, driest sections of the route. 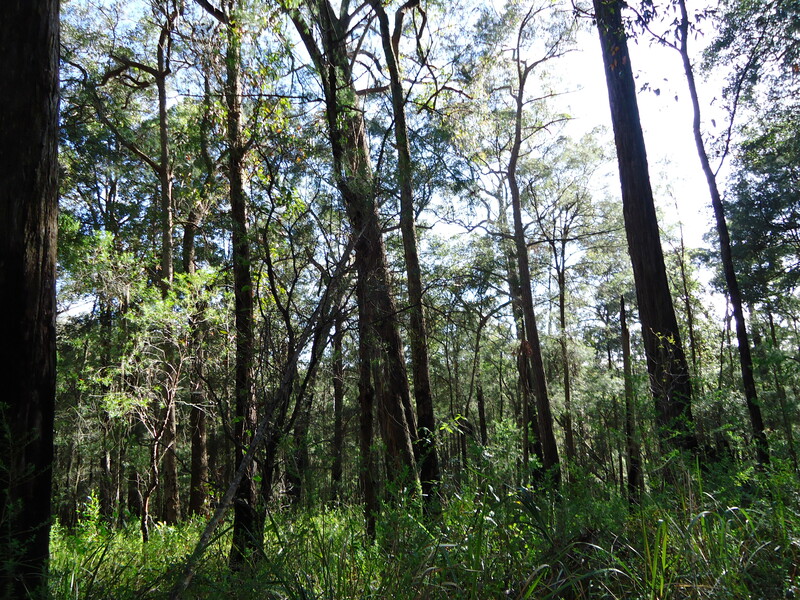 In the end, I stopped walking at Yarramalong, inland from Wyong on the Central Coast, 146km (by my GPS) from the start of the walk proper. I measured from Valencia St wharf at Woolwhich, where the walk resumes after a ferry ride from the Quay. 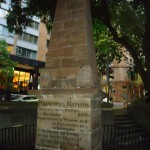 I started from the official beginning of the GNW, the obelisk at Macquarie Place, near Circular Quay in Sydney. 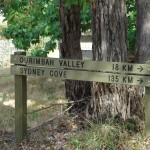 Curiously, there is no sign whatsoever of the walk in Macquarie place, no indication that this iconic walking trail starts there. 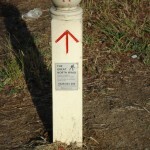 At the other end, at Queens Wharf in Newcastle there is a plaque and track markers through the CBD. 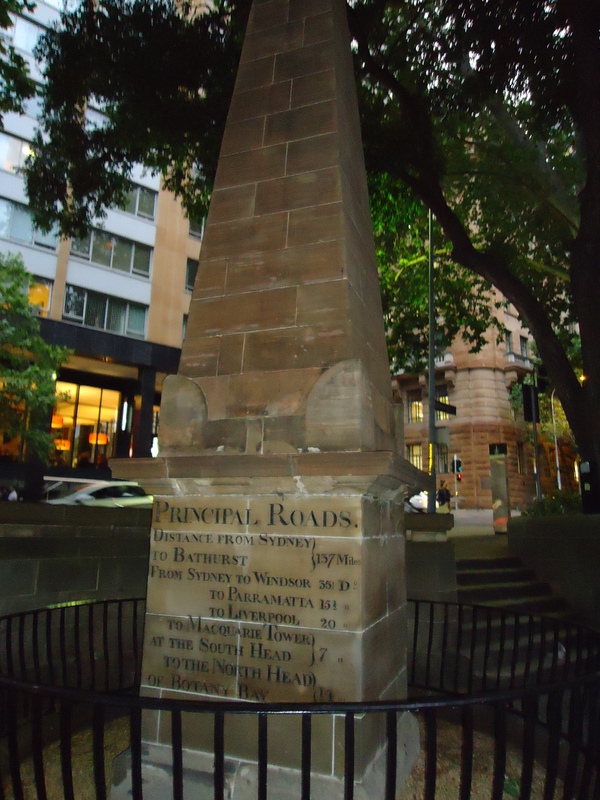 Macquarie Place to Circular Quay is the only unmarked section of the GNW. 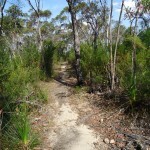 From Circular Quay the route involves a ferry trip to Woolwhich, after which the track is well marked all the way. I set off in time to catch the 7:38pm ferry. I reached Woolwhich at 8pm just as the last light faded into night. 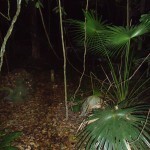 The weather was warm and humid, but not unpleasant in the darkness. Even the steady soaking rain that set in about 11pm was ok. I made good time early on and felt great. 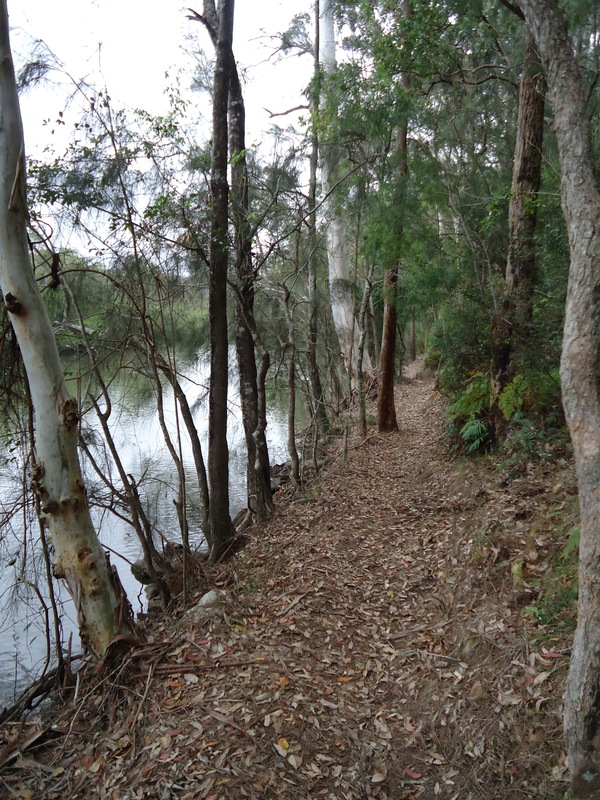 The track along the Lane Cove River was quiet save for the occasional rustle of some night animal. It wasn’t long before I was passing the brightly lit flour mill and Deburgh’s Bridge (11.5km). 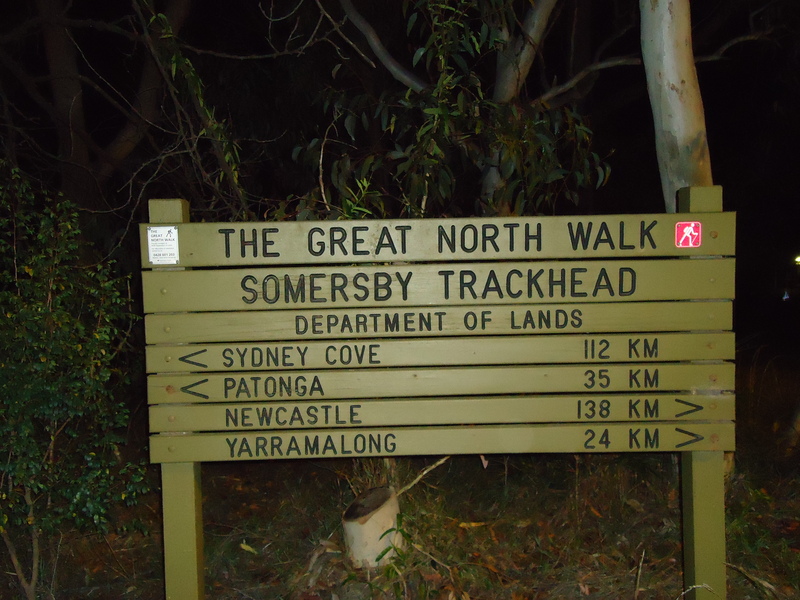 The fire trail from Turramurra to Thornleigh always feels endless, and by night seemed interminable. However, by 2:00am I was sheltering on the balcony of the sheds at Thornleigh oval (28km) taking my first break. 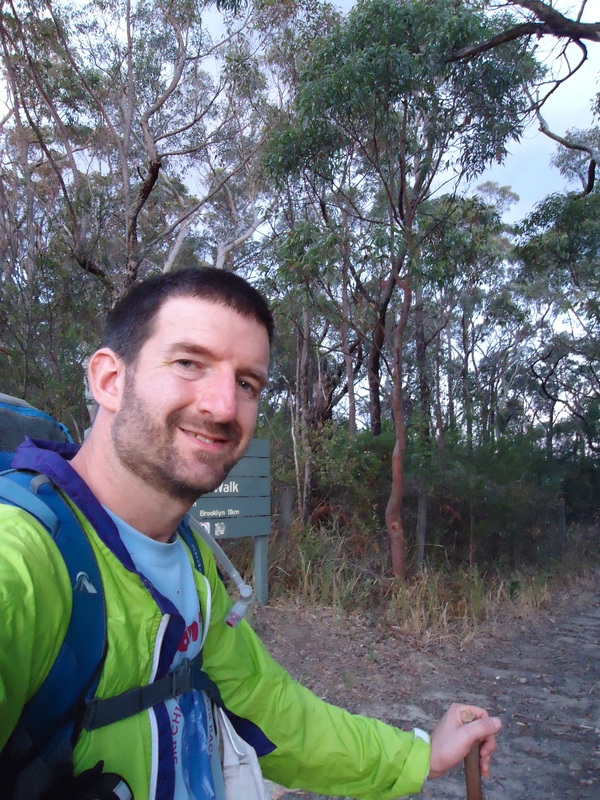 The rain was easing and, six hours in, I was feeling great, having fun, and making good progress. 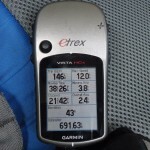 I wanted to average over 4km/h over the whole walk, and was making that comfortably. 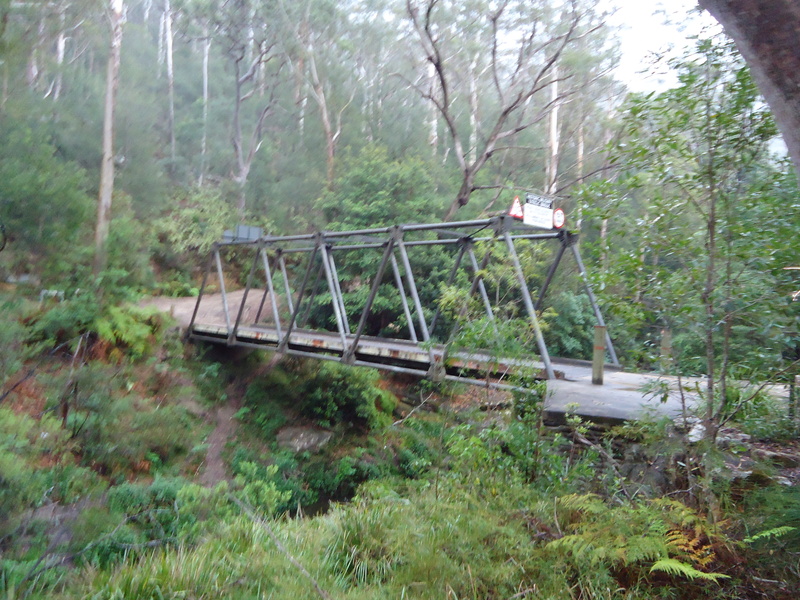 Just over four hours later it was dawn and I was crossing the Steele Bridge (38.8km) at the back of Hornsby ready for the long climb over Tunk’s Ridge to Galston Gorge. I stopped for my next break at Galston Gorge track head (42km), and had a spot of “breakfast”at 7:05am, kept company by the family of feral chickens the lives there. This time it felt harder to get moving again, but fine as I warmed up again. 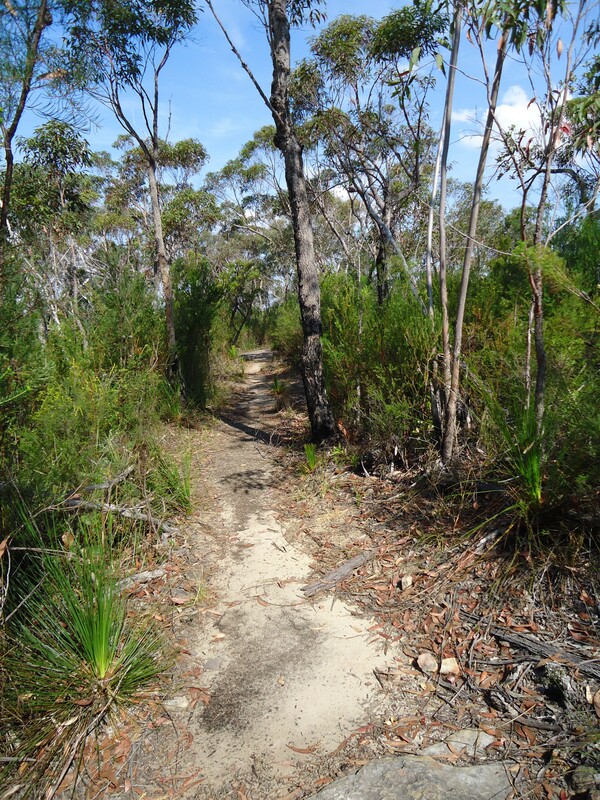 I made Crosslands Reserve (49km) in time for a mid-morning break, now in bright sunshine. 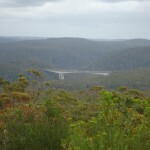 I filled up with enough water for Berowra Waters. I still felt good as I resumed my march and quickly passed a couple of campers who’d headed off from Crosslands as I rested there. 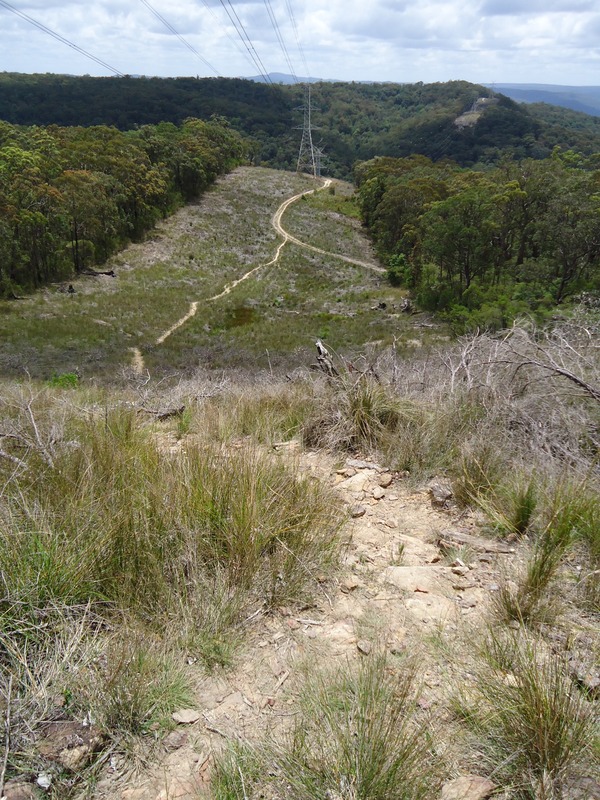 The climb up to Naa Badu lookout (53 km) was a hard slog, but ok. But I started to slow down after that and was passed by the two campers I’d seen earlier. 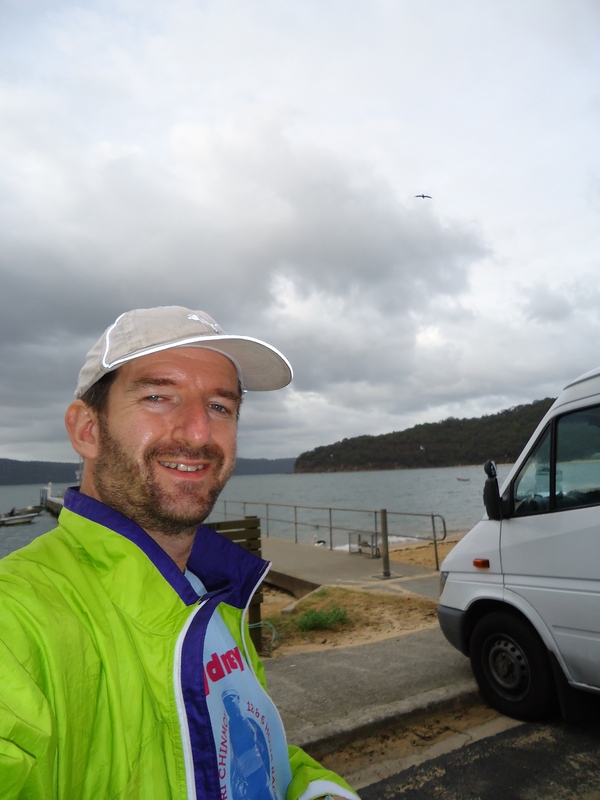 By the time I got to Berowra Waters (55km) I was feeling suddenly tired. Not sleepy, but physically worn out. 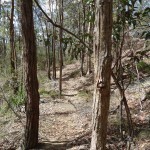 Over the next leg to Cowan (63km) walking up hill became a struggle. 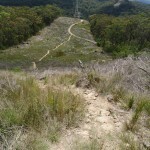 And that is a problem, because there are a lot of hills to walk up in that beautiful but rough section of the walk. There are three big, nasty hills and each one was agonizingly slow. Worst of all, at the top of the second climb I niticed my camera wasn’t in my pocket anymore. Lack of sleep must have been starting to kick in, because I just assumed I’d dropped it on the climb, probably on one of the short steep scrambles. So I dumped my pack and walked back down the hill I’d just spent an hour climbing! Normally that climb takes me about twenty minutes at normal pace. 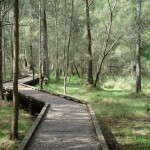 It did feel great walking without the pack, but undoing all the hard work was heartbreaking. About ¾ of the way down and no sign of the camera, I gave up and headed back up. Of course, the camera had been in the top of my pack all along. 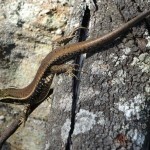 I reached the log book above the Joe Craft’s Creek valley (60km) at 3:46pm. I stopped in Cowan for dinner, a hamburger and milkshake at the shop. As I was walking up the highway towards the shop I asked a man garding in his front yard if he knew when the shop closed. He said he wasn’t sure, but that if it was closed to come back and he would give me some food if I needed it. Very hospitable! The shop closes at about 6pm. I left Cowan at about 7:30pm, after a long break. It was just getting dark again, but the next 12 km to Brooklyn is one of my favourite parts of the walk and normally takes two hours to do. I guessed that as I was tired, it might take more like four hours. I was wrong. Nearly seven hours later, I struggled into Brooklyn (76.3km). I could barely move faster than a slow shuffle. Even worse, I was dehydrated and out of water. For some reason, I didn’t top up my water at Cowan. 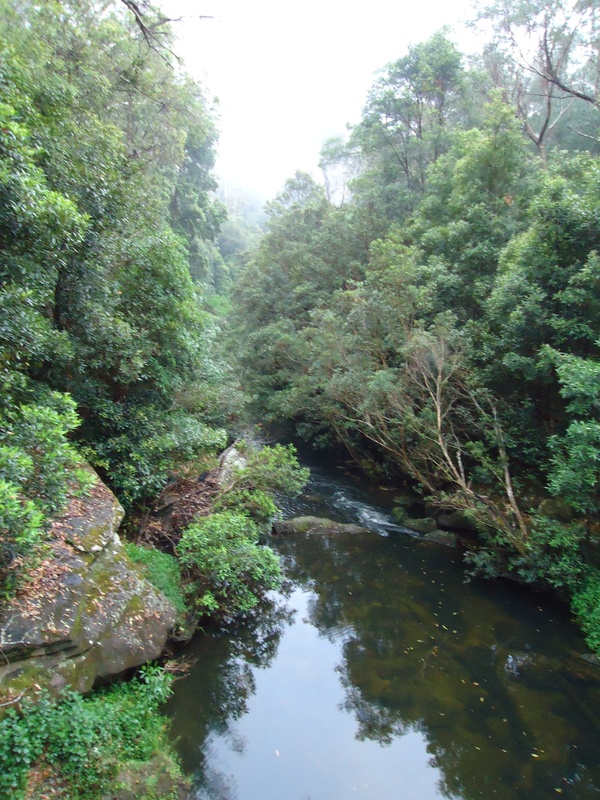 I didn’t take any water from one of the creeks trickling down to Jerusalem Bay. I didn’t take any water from Brooklyn Dam. I was so desperate to reach Brookyln, I just wouldn’t stop. I should have either pulled out of the walk at that point, or at least slept somewhere along the track. 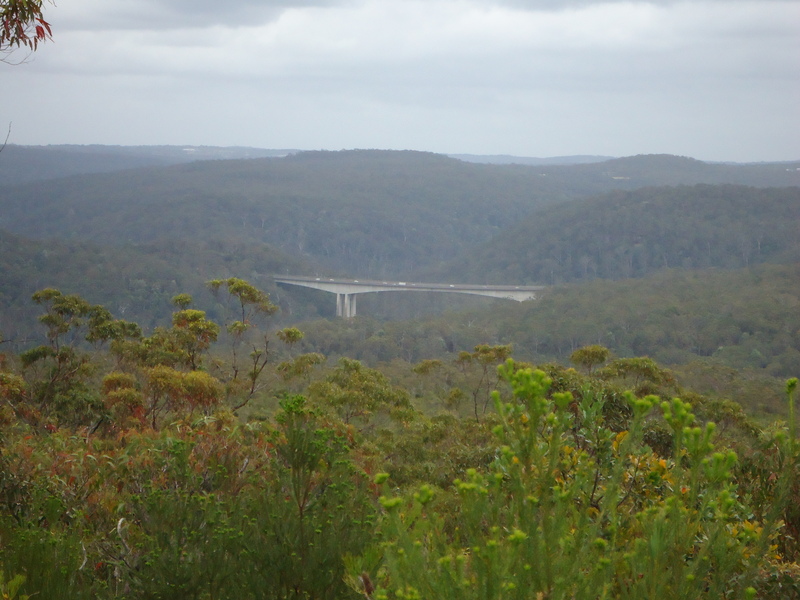 At Brooklyn the GNW crosses the Hawkesbury River. The problem is, there is no crossing. 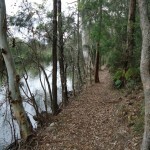 Walkers have to either take a ferry, a water taxi, or drive to Patonga, where the trail resumes on the Central Coast side of the river. 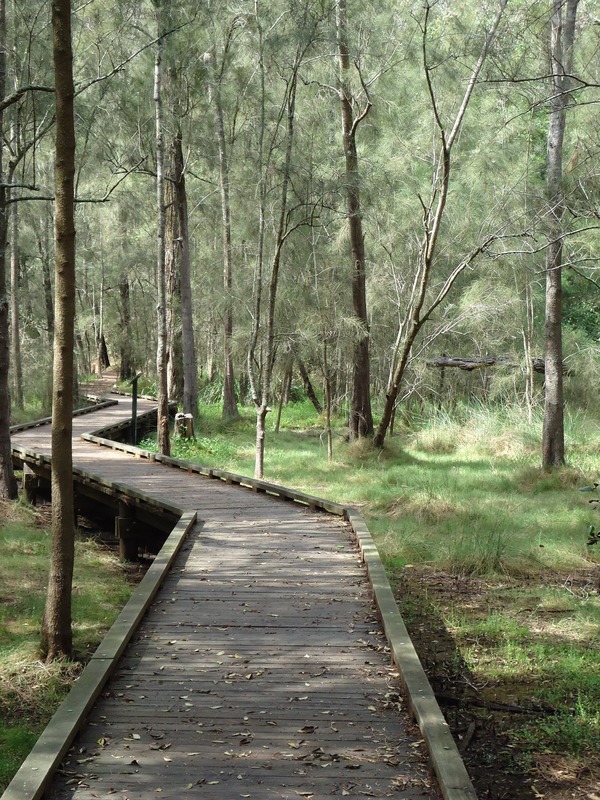 You can also take a train to Wondabyne station, but that cuts out about 25km of the walk. In the early hours of the morning there was no chance of a ferry or water taxi. Luckily I had planned ahead and left my car at Brooklyn wharf in case of this. After a three hour sellp in the back of the car, and about half an hour painstakingly getting the car out of the carpark after being parked in by a big white Volvo wagon, I drove to Patonga (76.3km – don’t count the driving/ferry) stopping to pick up some breakfast at a servo along the way. I resumed walking at about 7:30am, and was feeling much better. I was still moving slowly but fairly steadily. I had no energy to push hard if I needed to, and couldn’t even speed up down hill. Steps down were starting to hurt, which is normal. I passed the first sign of the GNW 100s ultra marathon that was being run that weekend, a water drop on an isolated fire trail. 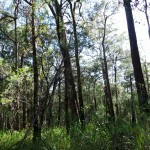 I stopped for water at Kariong Brook (91.1km) and reached the Mooney Mooney trackhead (101.8km) at about 4:30pm. There was a checkpoint set up there for the runners in the race. The volunteers there said they were expecting the first runners around midnight. They would be surprised, because I passed the first runner, going the other way, at about 114km and 9:30pm. He was running really fast. 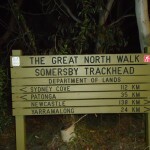 I got to Somersby primary school (117km) at about 10:30 – 11pm. There was another race checkpoint set up there. I filled up my water bladder from the tap at the school, and rested for about an hour watching a couple of frontrunners in the race pass through their pitstop. Normally, I would have expected to be at this point a whole twenty four hours earlier than this. I knew I was going badly, but still had no thought of stopping. 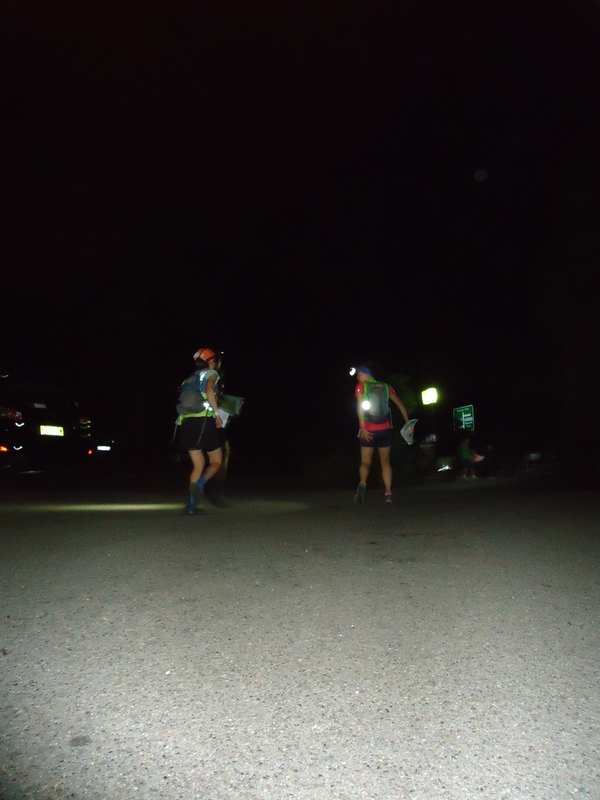 As I walked through my third straight night, I saw most of the runners in the race, all heading back towards Somersby. Some were fresh an alert. Others were shuffling wrecks, barely coherant. 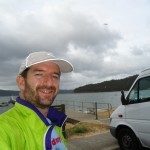 They were racing over 170 km from Teralba to Patonga. Most of them had “pacers”, a friend who was aloud to run with them through the night to help them and make sure they didn’t get lost. Even though they were “running” (most by this stage were walking), they were carrying nothing with them and had checkpoints every twenty to thirty km to resupply. 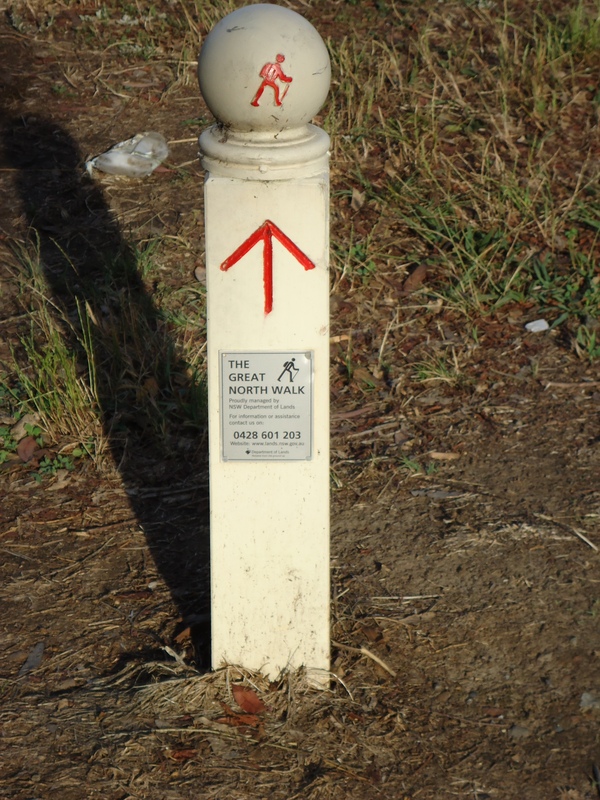 It seems a bit odd that someone would be so unskilled in basic navigation that they needed someone to help them find their way along the best signposted bushwalk in NSW. Looked a bit like hand-holding, with their pacers and so on. But good on them for having a go and having fun. Better that they are safe than lost, and at lest they don’t put up tape or any other extra track markers. By just before dawn on Sunday I needed to rest. 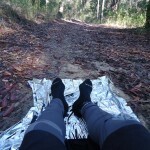 I got to the top of the climb out of the Ourimbah Valley from Stringybark Point (129.5km) and finally had to stop for another short sleep at Tooheys Rd South fire trail (132km). 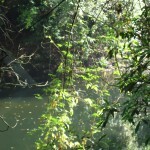 I took about three hours sleep and then resumed walking at about 8:30am (Sunday). 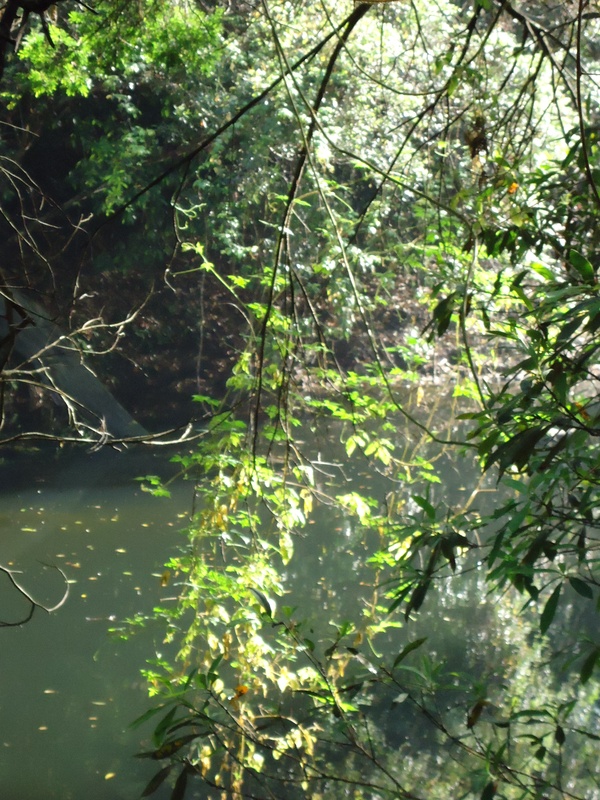 I was running a bit low on water, but knew there was an ok creek not far ahead. I felt ok, walking reasonably well, but now had blisters and chafing setting in. Warning: the next two paragraphs may contain “too much information“. Skip if squeamish. I’d felt hot spots forming on my feet, and progressively taped them up as needed. Eventually, however, a huge one formed under the callous on my left forefoot. I had no way of bursting it through the callous, and even taping it up didn’t help – it was just too big. 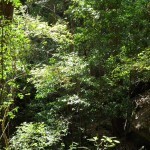 It felt like a jagged stone or piece of glass gouging into my foot with every painful step. Luckily, when I walk, I never suffer from chafing. Except by Sunday morning I was suffering from chafing, or some kind of bad crotch rot. Maybe more like severe irritation aggravated by sweat and dirt. It wasn’t the dry, sandpaper-type chafing that vasoline can fix. It was like weeping sores at the top of each leg. They were well-lubricated, by puss. But they hurt like fire and each step became more painful then the last. OK – graphic details over. 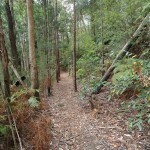 Along Tooheys Rd trail I encountered a last lone runner. She seemed a bit confused, but was heading in the right direction. She said she’d been lost for three hours. A couple of hours later, just before Cherry Lane (137km) I met two officials from the race who were out searching for her. 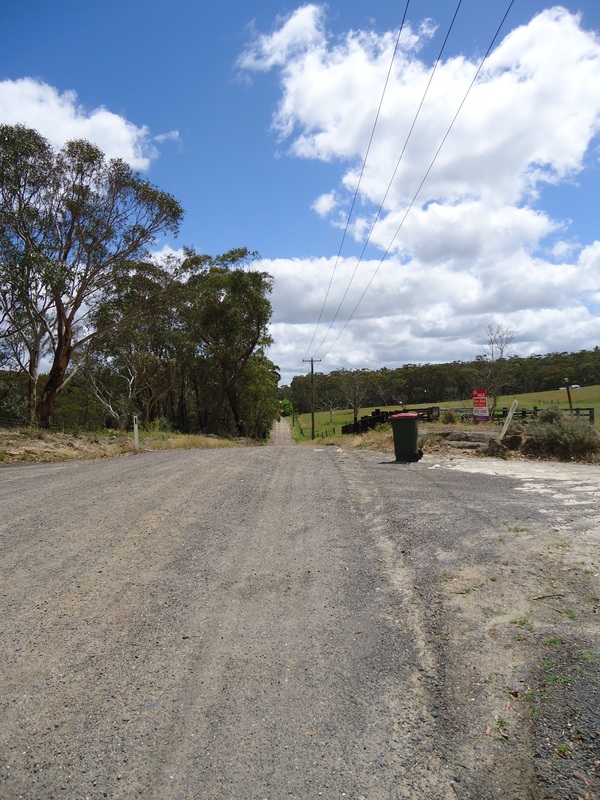 By the time I reached Cherry Lane, not far from Yarramalong, I was seriously considering stopping. I even thought of hitching a lift in a passing car down to the village. I didn’t because I thought that maybe if I stopped overnight in Yarramalong I could carry on on the morning. 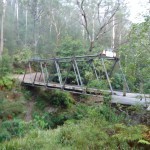 A lift would have ended my attempt to walk the GNW. 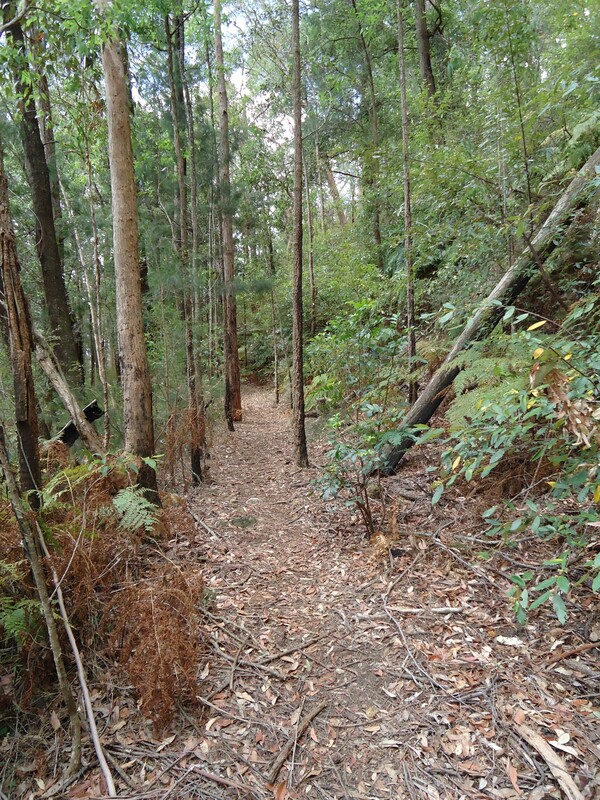 The final stretch down into the village of Yarramalong was slow and agonizing I had felt too tired to deviate about 10m off the track to get water earlier on, and now was nearly out of water again. 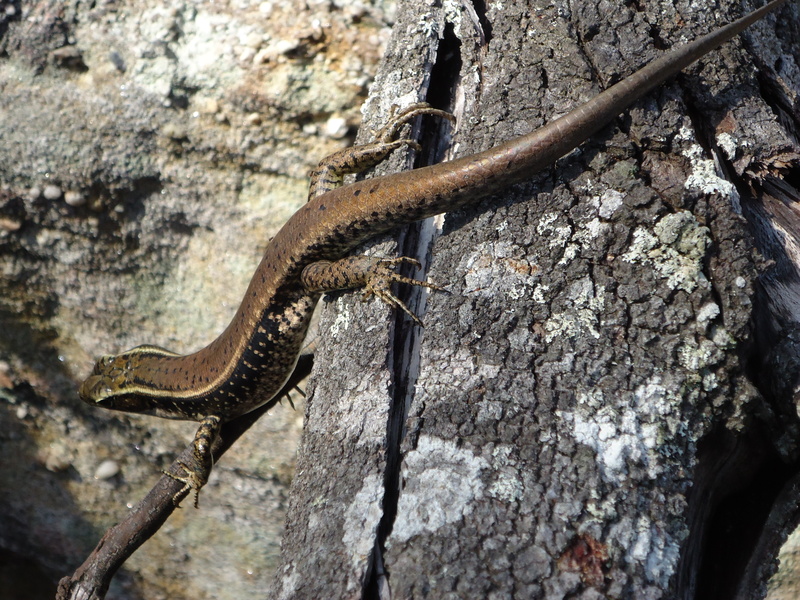 It was hot and sunny, and I couldn’t move more than about 1 – 2km/h. 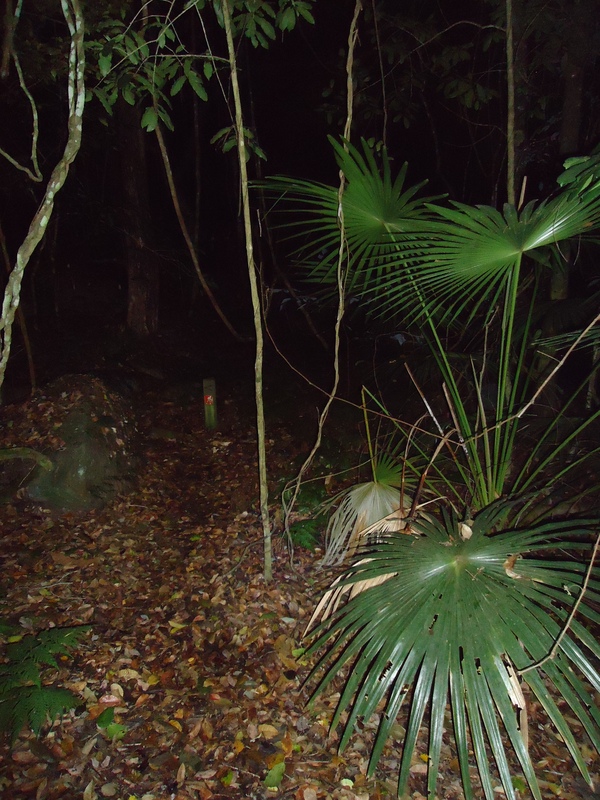 I got a bit of water from a creek along Bumble Hill, but was pretty dehydrated by this stage. 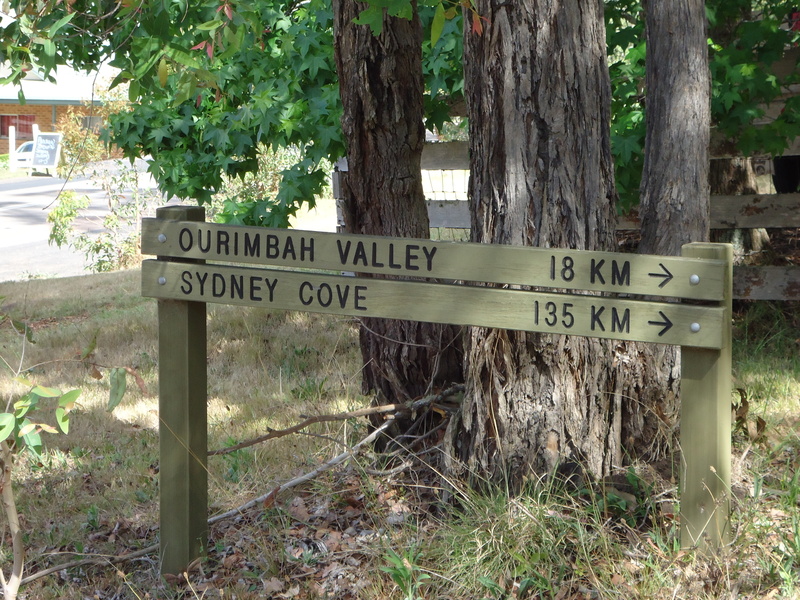 The 25km walk from Somersby to Yarramalong normally takes me five hours. This weekend it took me 16:45, 13:45 if you discount the three hour sleep. 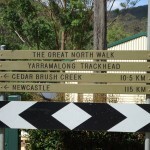 I got into Yarramalong (146km) at 3:45pm on Sunday afternoon. Luckily the store was still open. 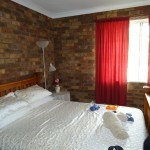 So I ate and drank, and called the local motel for a room. 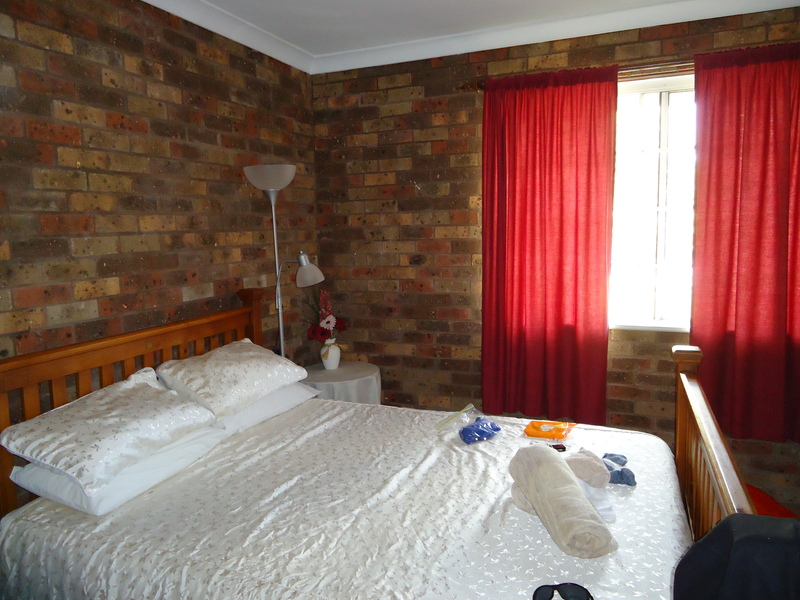 The room at “Yarramalong Manor” was grubby and basic, but seemed a luxurious haven to me. To be fair, it is cheap and the people there are friendly. 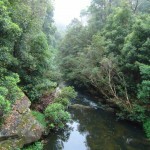 To get out of Yarramalong by public transport, there is one bus each weekday morning. Weekends there is nothing at all. 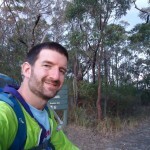 I got up early to catch the school bus to Wyong station, or to resume the walk. 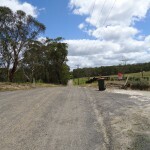 The slow struggle up the driveway to the bus stop settled it, I was going no further that day, the walk was over. 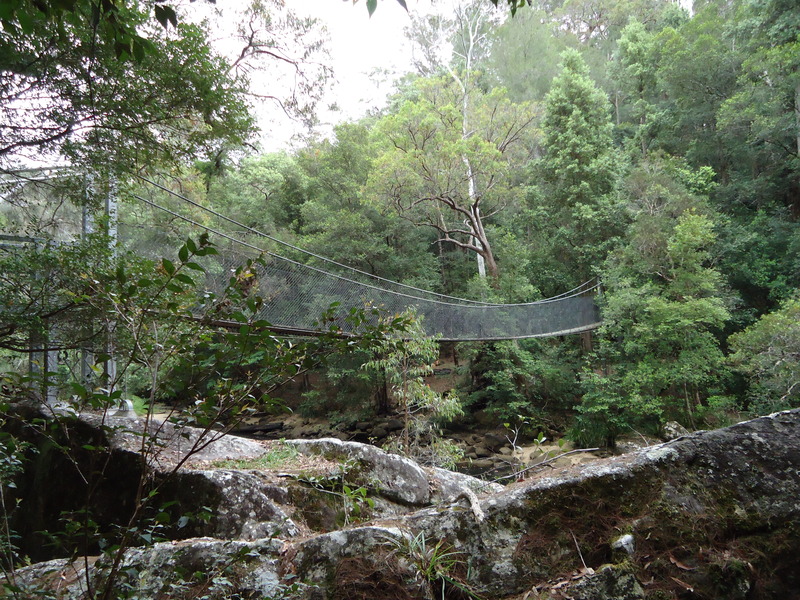 It was certainly memorable and a good long weekend of walking through some stunning country. One of the things that kept me going as long as I did was the strong feeling that I never wanted to do it again. 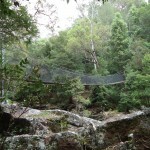 As I enjoyed the bus ride out to Wyong, of course I was already planning for the next time. The other thing that kept me going was the fact that I’d deliberately made my plans very public, thinking that the pressure would help motivate me. It did help, but not enough. 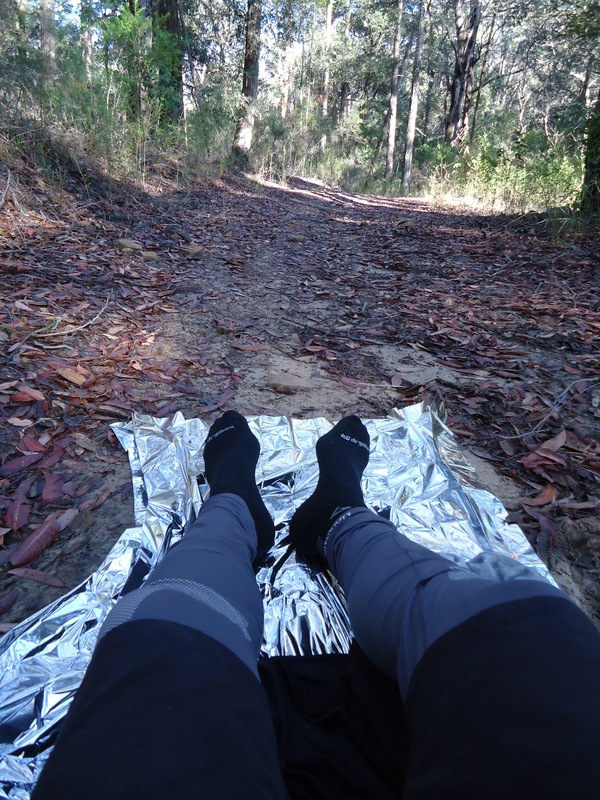 Without the blister and chafing problems, I may have pressed on further, but with another 100km of the most remote stretch of the GNW before the next possible exit point it didn’t seem wise. 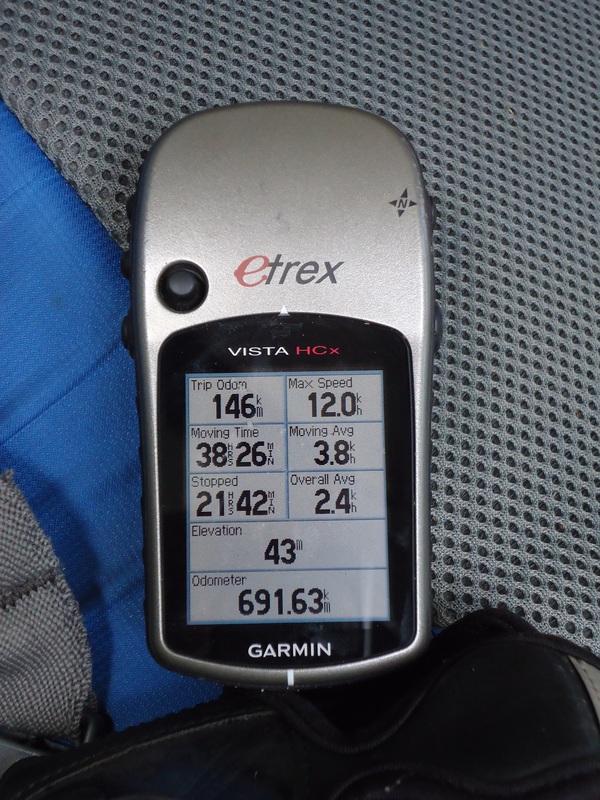 146km is a long way to walk in a weekend, but it was very slow for me. 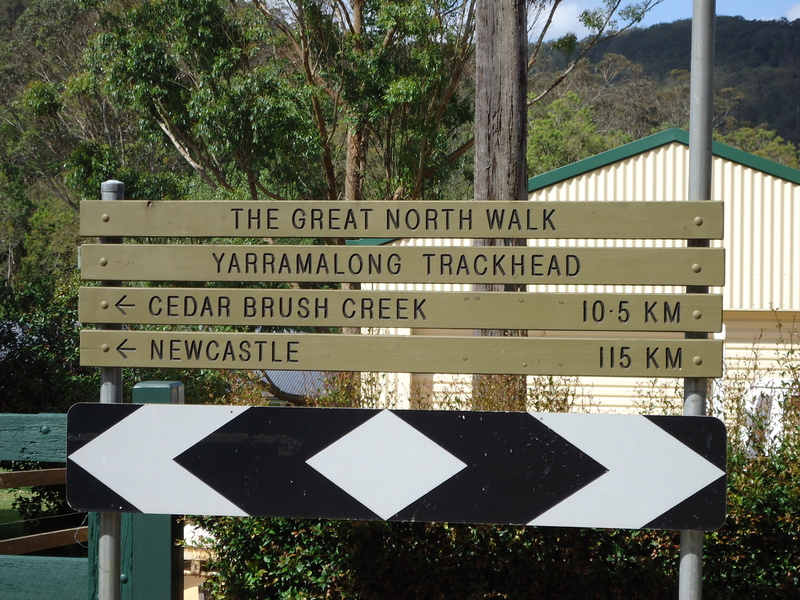 I have walked 100km along the GNW in 23 hours before, from Teralba to Yarramalong. 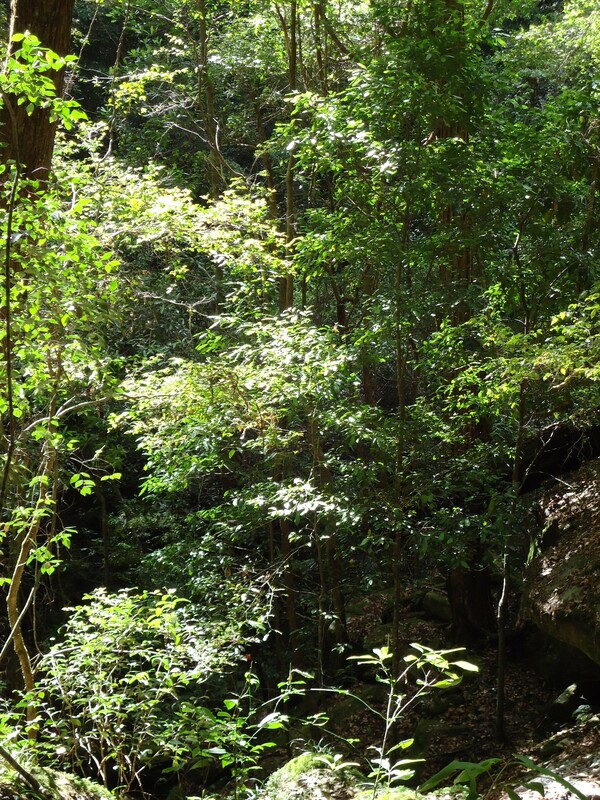 This time, something went wrong physically, basically a virtual collapse from Berowra Waters on. Anyway, I’ll definitely have another crack at the whole track sometime. But not too soon! Epic story mate. I’m about to head out on the GNW on Tuesday but I’ll be taking 14 days to do it. That seems like a luxurious way to travel by comparison to your adventure. 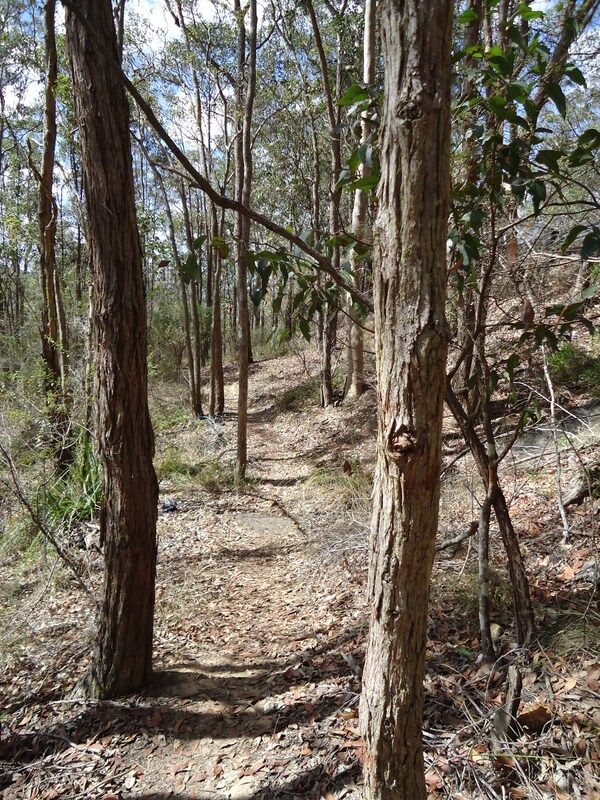 The pics on your post make me even more excited about hitting the trail.